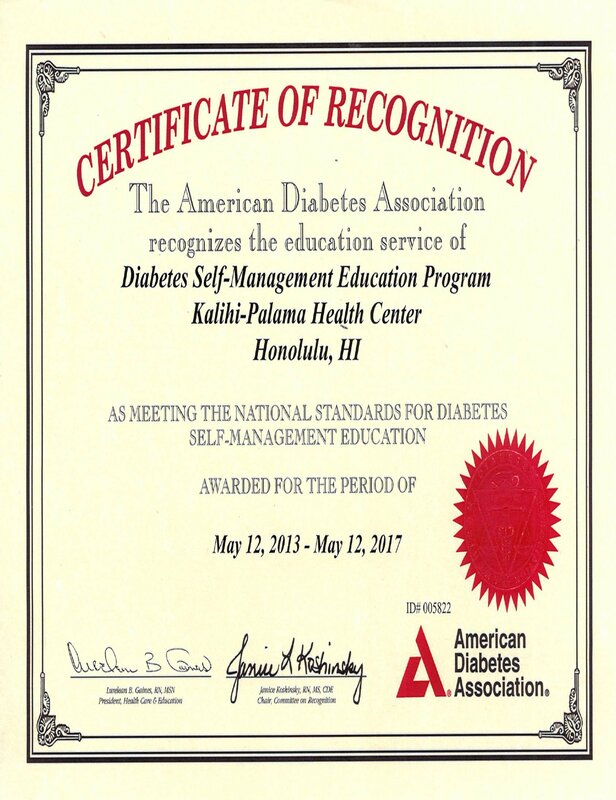 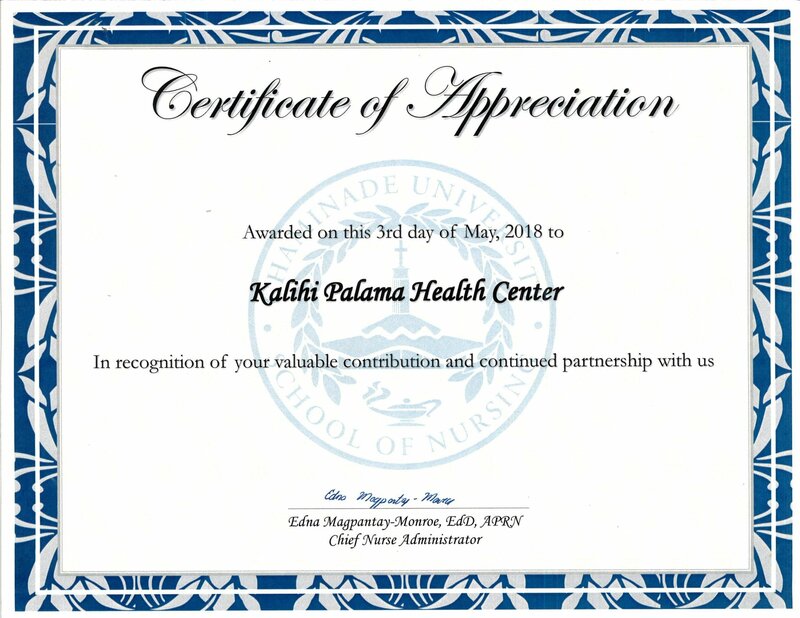 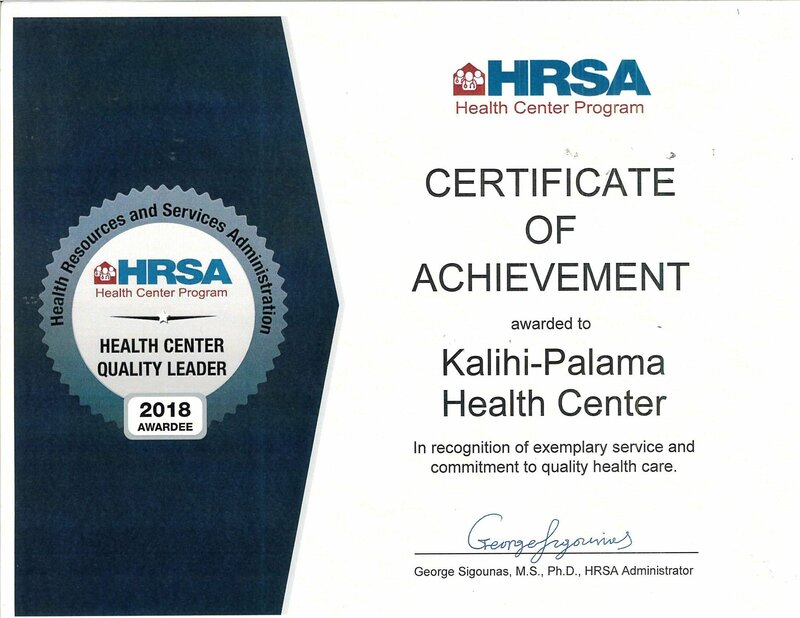 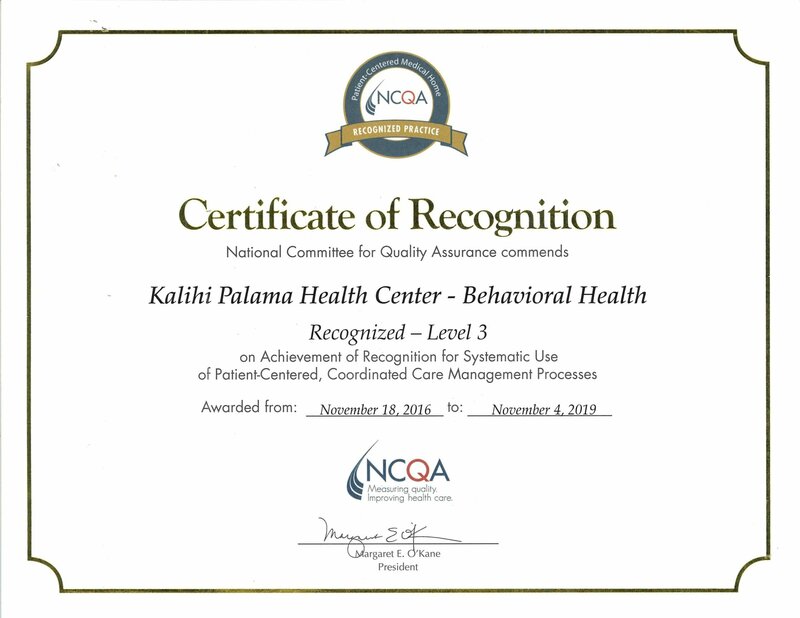 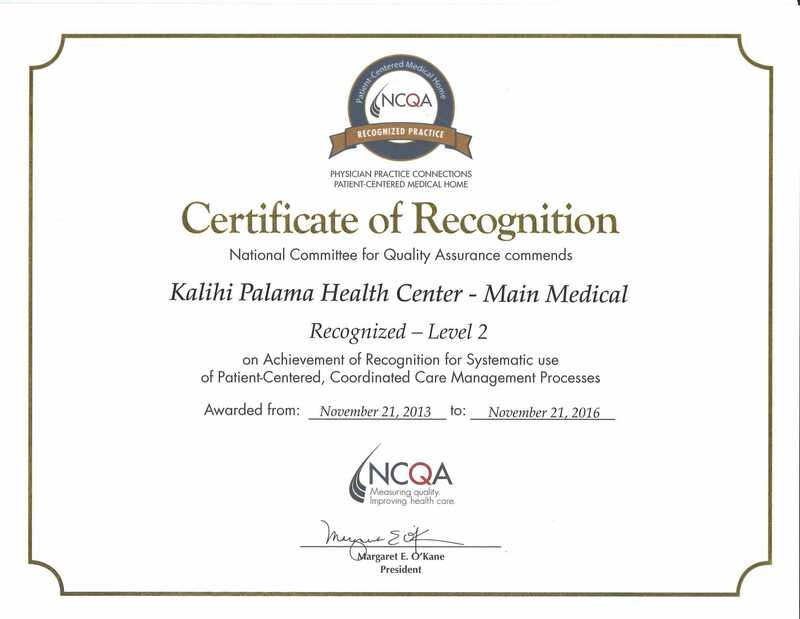 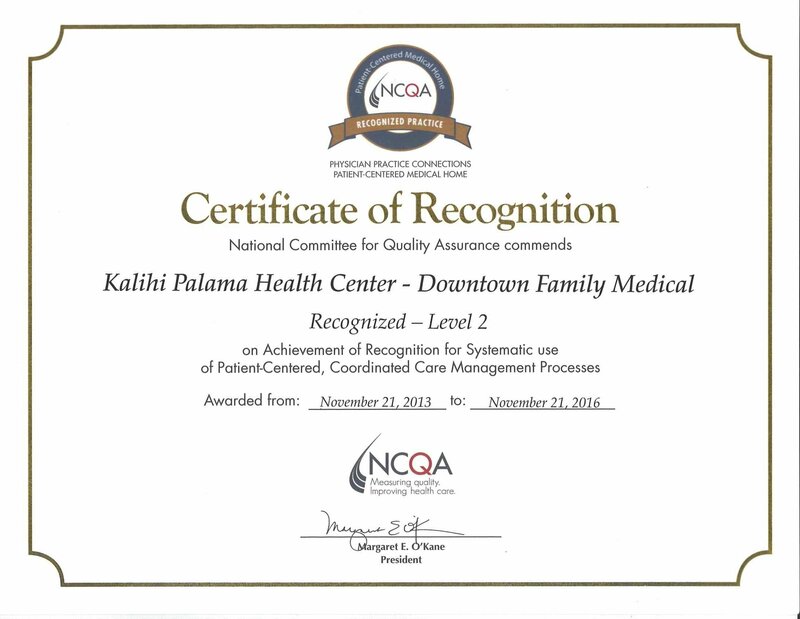 The Kalihi-Palama Health Center (KPHC) is proud to announce that it has received a Certificate of Achievement in recognition of exemplary service and commitment to quality health care from the Health Resources and Services Administration (HRSA). 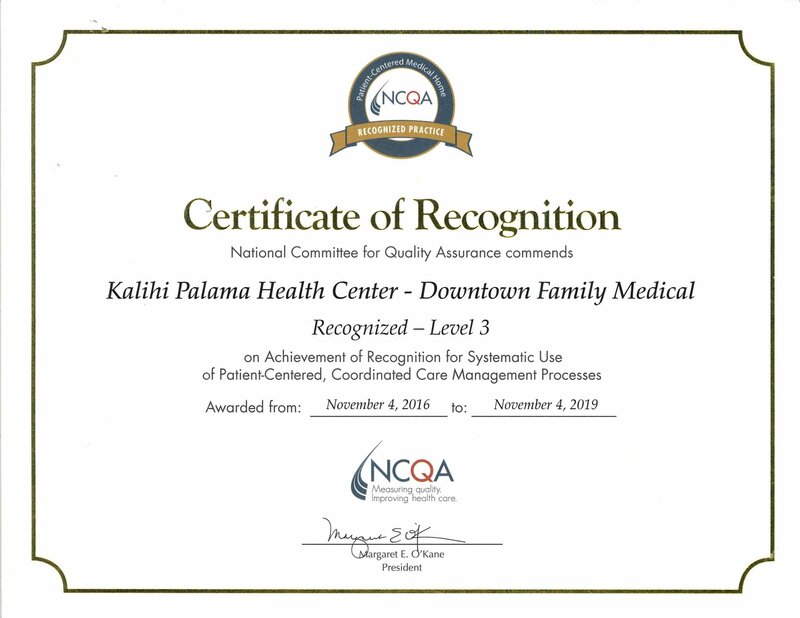 The 2018 Quality Leader Award was presented to KPHC for best overall clinical performance among all health centers and placing in the top 30 percent of the adjusted quartile rankings for Clinical Quality Measures. 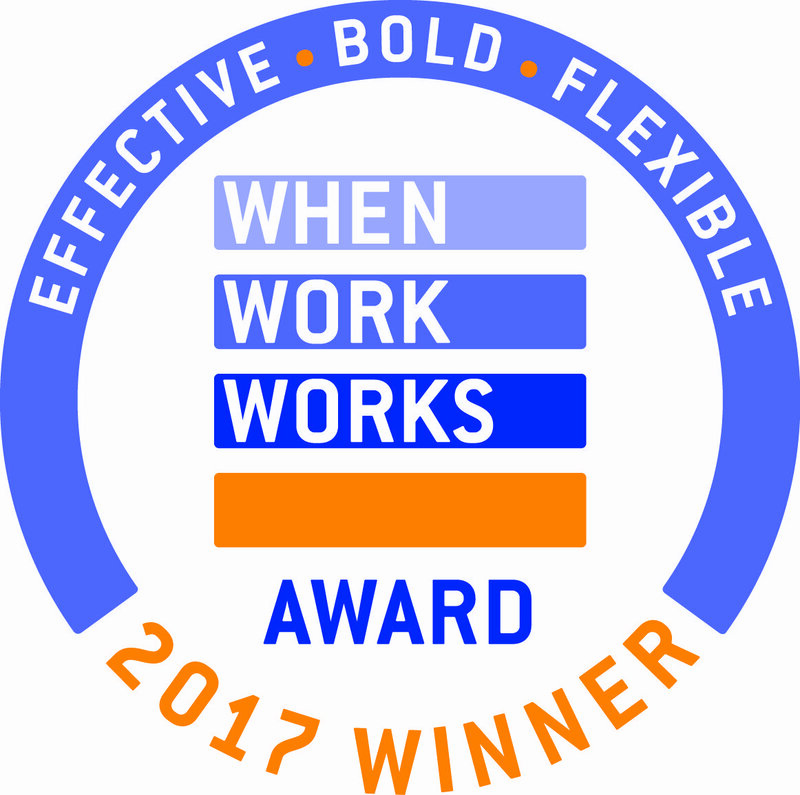 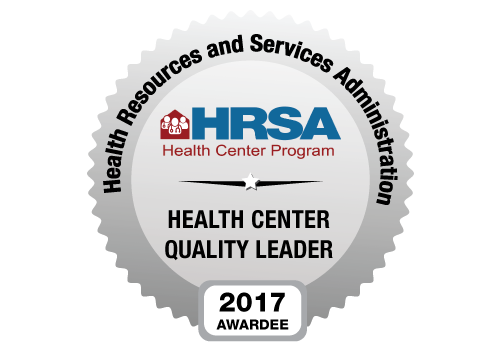 Our recognition as a Health Center Quality Leader reaffirms our mission to provide quality integrated health and social services to our community and all others in need of health care. 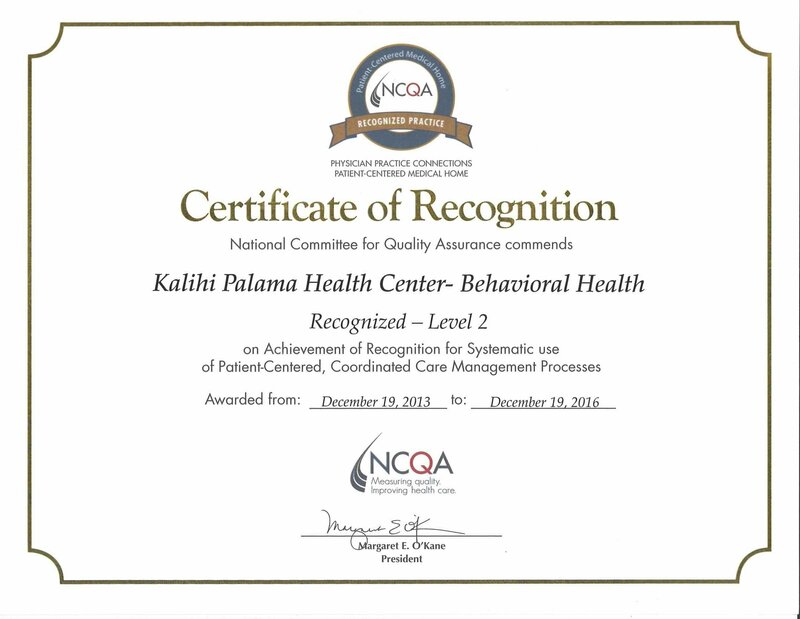 These certificates verify that all three KPHC locations are PCMH-recognized practices. 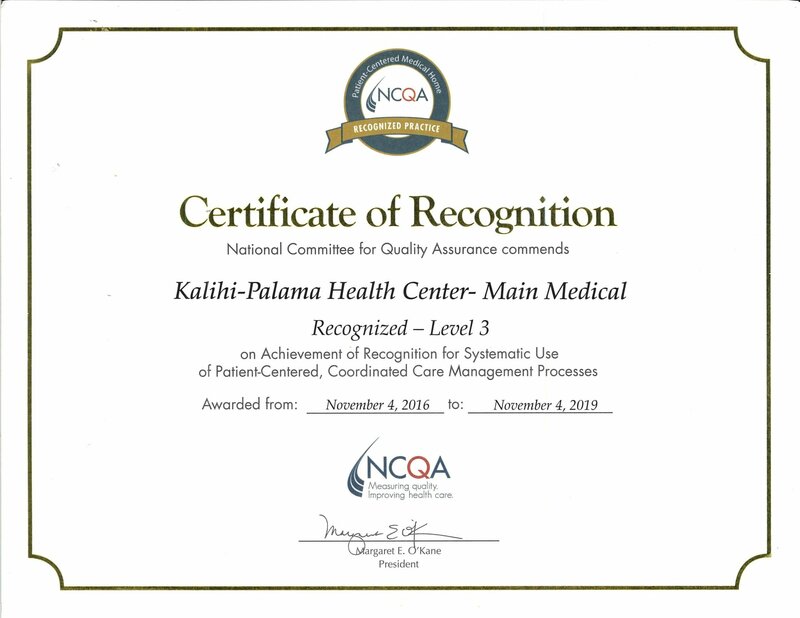 Click on the images below to enlarge and on the following links for more information about the NCQA and the qualifications for PCMH recognition.